In today’s competitive jobs marketplace, it’s important to stand out. When a manager or recruiter is wading through potentially hundreds of applications for a job, how do you make sure your CV gets put in the “shortlisted” pile? 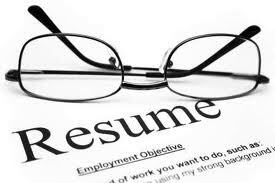 One key difference your CV can have over your competitors is this: clear, relevant and up to date skills. These generic skills are the things that tell your potential employer what you will bring to the team other than your expertise in the job. It gives them an idea of how well you will fit into the team, whether they need to micro-manage you, or if you will be able to deal with potentially difficult clients. When writing your technical skills into your CV it is good to be descriptive to show the level of skill you have. For example, “Advanced use of MS Office suite” or “Comfortable and frequent user of cloud based technology”. The most important consideration when preparing your CV is to make sure it’s relevant. Put yourself in the manager or recruiter’s shoes. If you were hiring for this role, what would you look for in a person? Making sure your CV is snappy, relevant and informative is a key to landing that job. And always remember, if you are listing “attention to detail” as a skill, make sure you’ve thoroughly proof-read your CV! Bio: Article by Richard Greenwood from Odyssey Training who provide professional development and IT training such as assertiveness training courses in Sydney, Melbourne, Brisbane and regional Queensland cities.